If your kids love to color, then print this Dragon Ball Z coloring book picture. Make it jump off of the page with many bright colors. Loads of fun! Can't find anything to do on a rainy day? 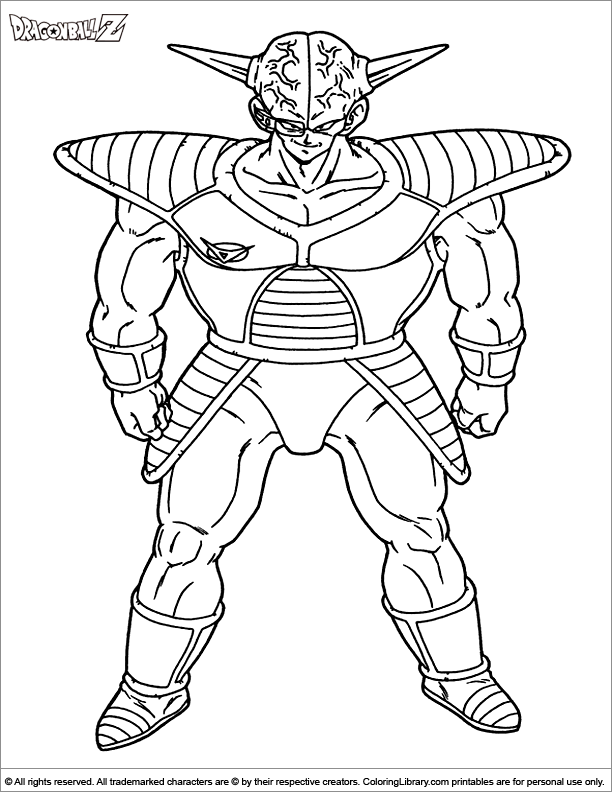 Then get this and many other Dragon Ball Z coloring pages. You can make coloring a weekly activity and pick a different category each week and create your own coloring book with many different pictures of cartoon characters.